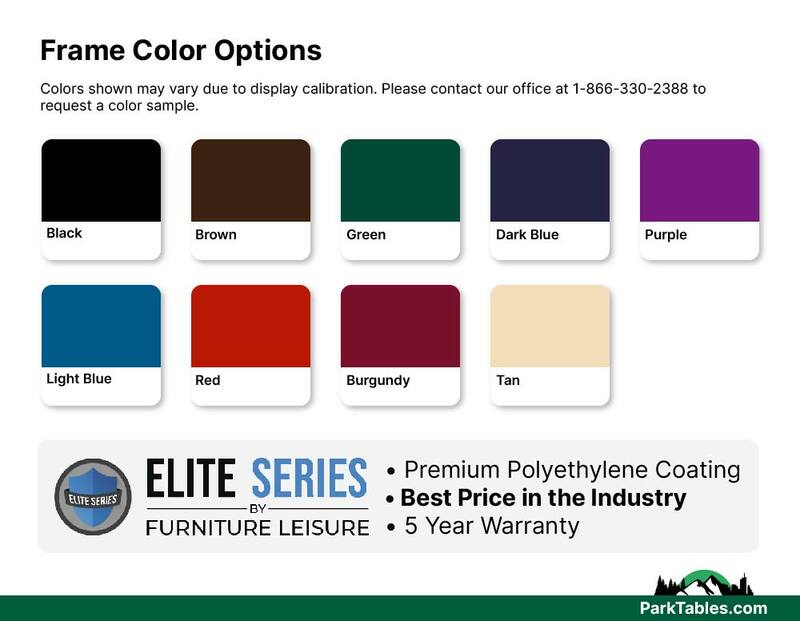 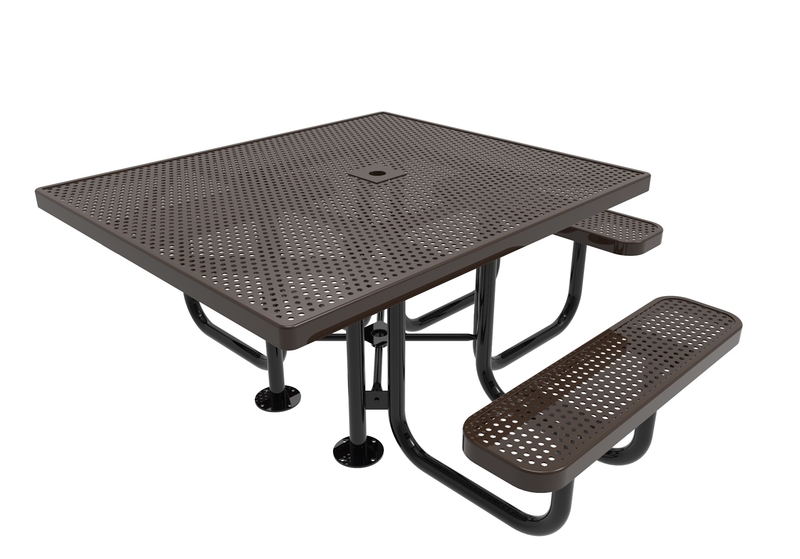 The ELITE Series ADA 46" square thermoplastic is made with the highest quality materials in the commercial outdoor furniture industry. 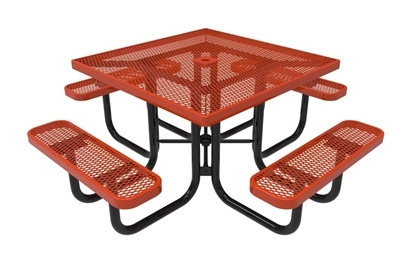 This picnic table is made to last for years in any park, school, or restaurant. 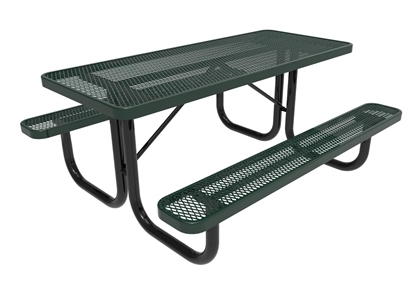 Features an extended top for wheelchair access, meeting ADA compliance. 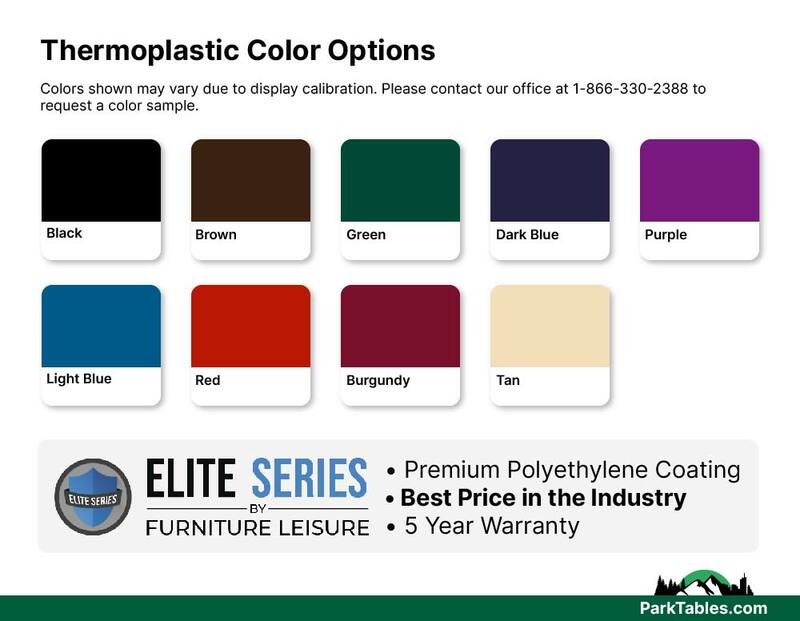 The industry standard ELITE Series polyethylene coating is made with UV stabilizers and features a 90% gloss shine to look great for years. 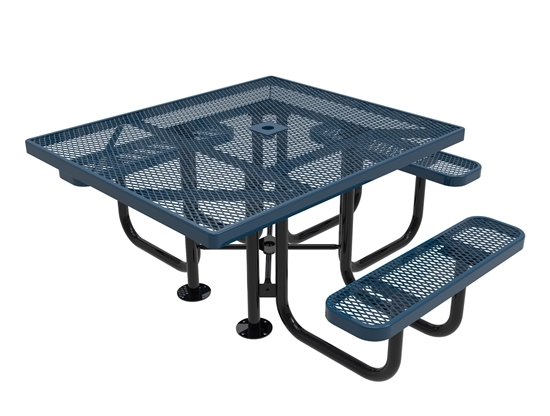 Choose from 3/4" expanded metal or 1/2" perforated metal top and seats with a 2" powder coated steel frame. 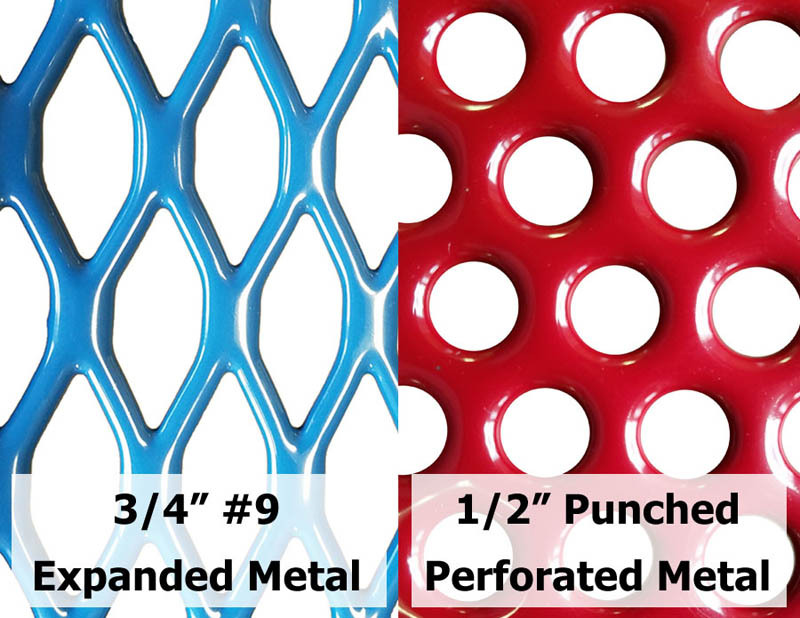 Includes cross braces and xylan-coated hardware for long life and durability.